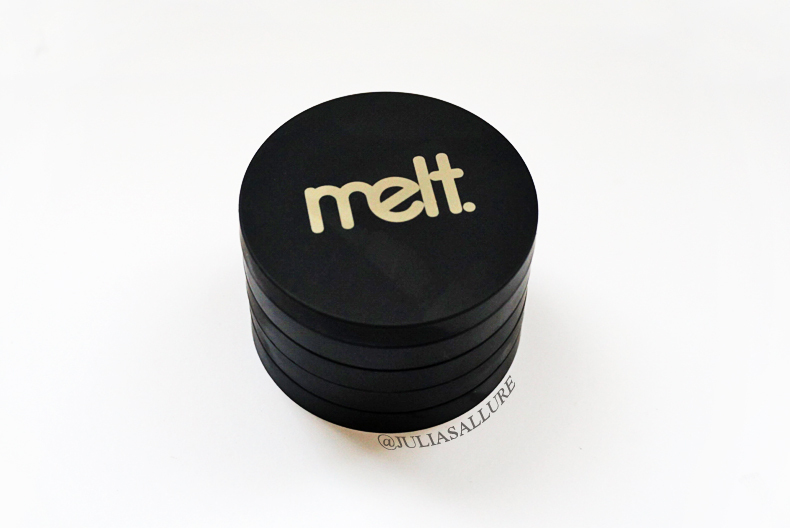 The company Melt Cosmetics just released two sets of eye shadow “stacks” to their previously only lipstick line. This news was quite exciting for me as I am a fan of the company and I saw the previews of their shadows and they looked quite amazing. The colors are right up my alley, especially the Dark Matter stack which is the one I purchased. These shadows retail for USD$48.00 and you can purchase them online from their website. Their stacks come with four colors and the casing is magnetic so they all stick together which is really cool! Quite inventive. 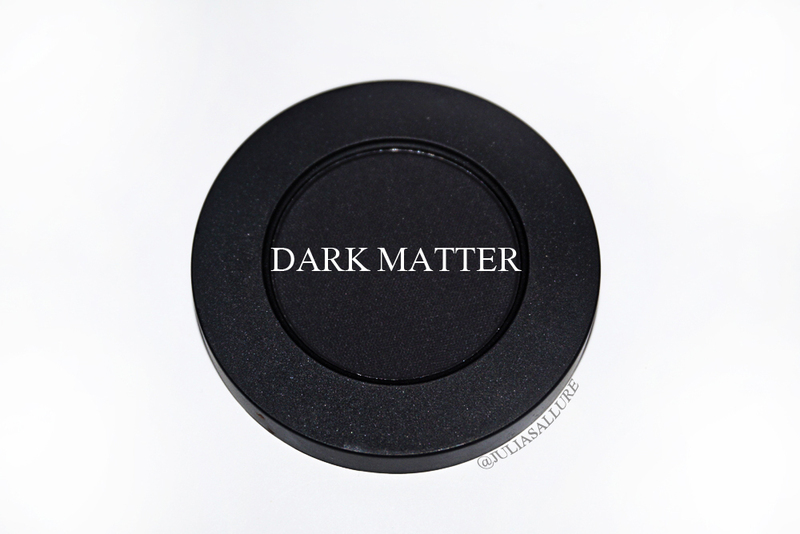 The Dark Matter stack is all MATTE… there are no shimmers or metallics. The shades are all really rich and warm, definitely the colors I am personally attracted to. The packaging is pretty and sleek which I appreciated. This is how they look all stacked together. It’s not too bulky which is good. 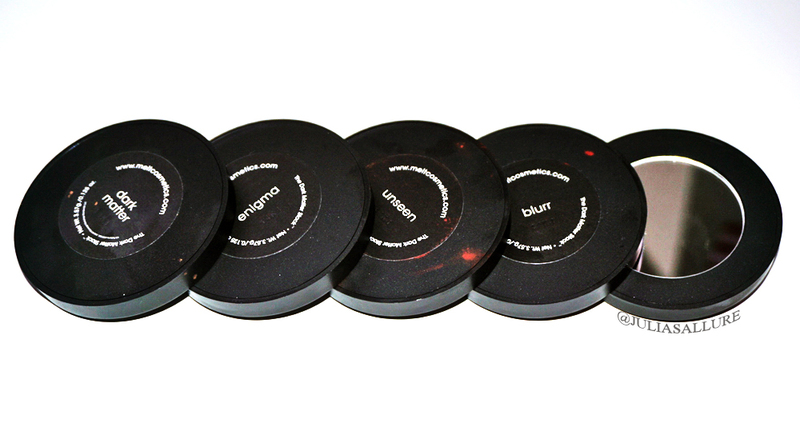 The names of each color are printed on the back of each eye shadow. There is also a little mirror which comes on the top of the eye shadow stack. 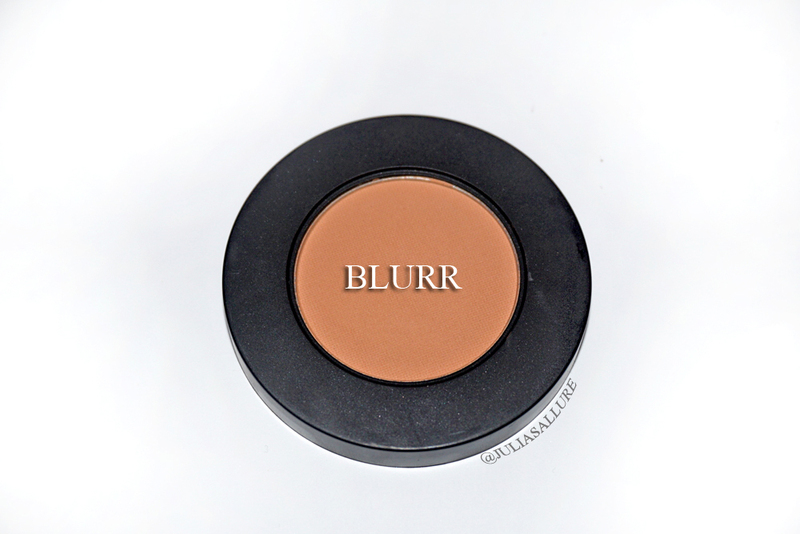 “Blurr” is described as “a soft beautiful blending/eraser shadow”. It is a really warm, muted neutral shade. 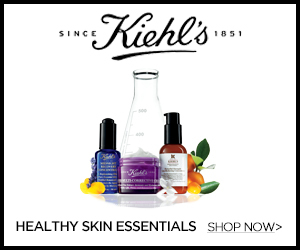 It’s a beautiful shade but unfortunately I felt that it was the least pigmented of the bunch. 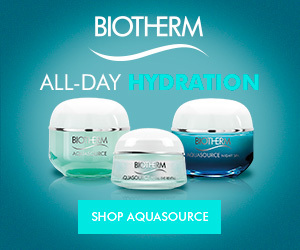 It just didn’t have the same pigmentation and texture as the other ones. It’s still a good shadow but it just wasn’t on the same level as the other ones. You’ll see with the swatches what I’m talking about. 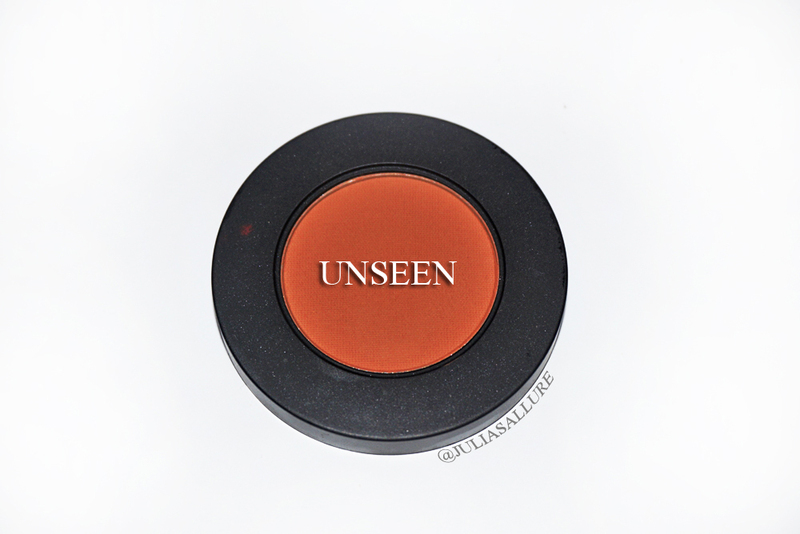 “Unseen” is described as “a cool-medium delicious caramel brown”. That’s exactly what it is. 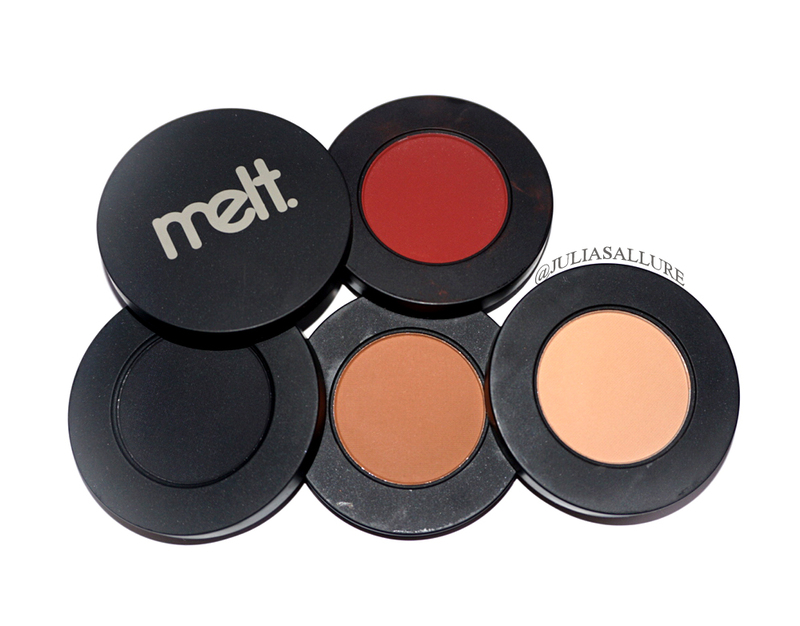 It’s the perfect crease shade and it is beautiful for warming up any eye look. A definite favorite. 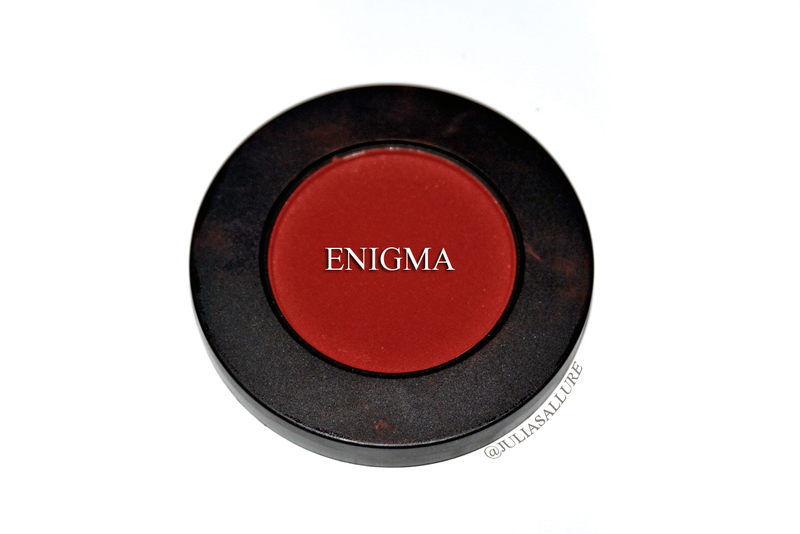 “Enigma” is described as “a beautiful rusted red-brown”. It might be my favorite color in the stack as it’s the most unique. I feel there aren’t many shadows like this one in the market. It’s just such a gorgeous, rich color that completes any look. 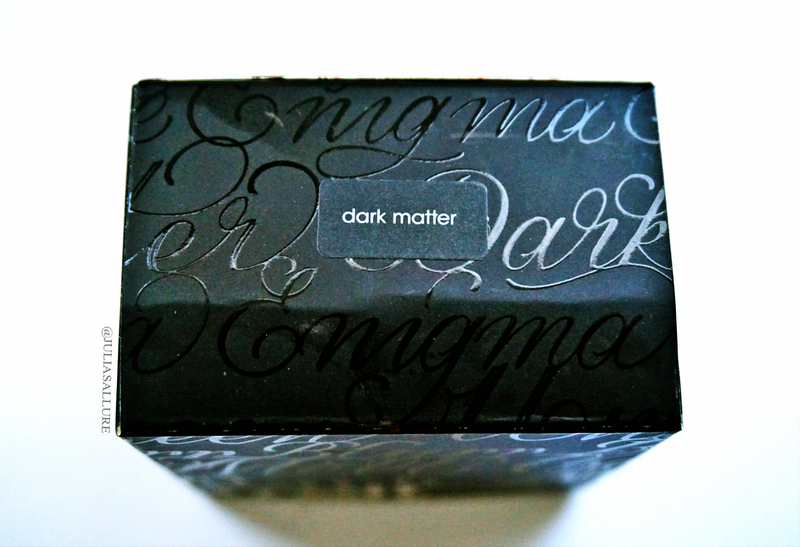 “Dark Matter” is described as “the most pigmented pitch-black”. Oh, that it is. It might even be my favorite black shadow on the market. It’s so velvety smooth and PIGMENTED! Wow. Let me just say I’ve never seen a black shadow quite like this one. They did such an awesome job on this shade. Now for the swatches. I did not use a primer for these. You can see for yourself how beautifully pigmented they are even without a primer. I just wish “Blurr” was on the same level as the other ones. I was really disappointed with that one! You can see it in the swatches it just is not on the same level. 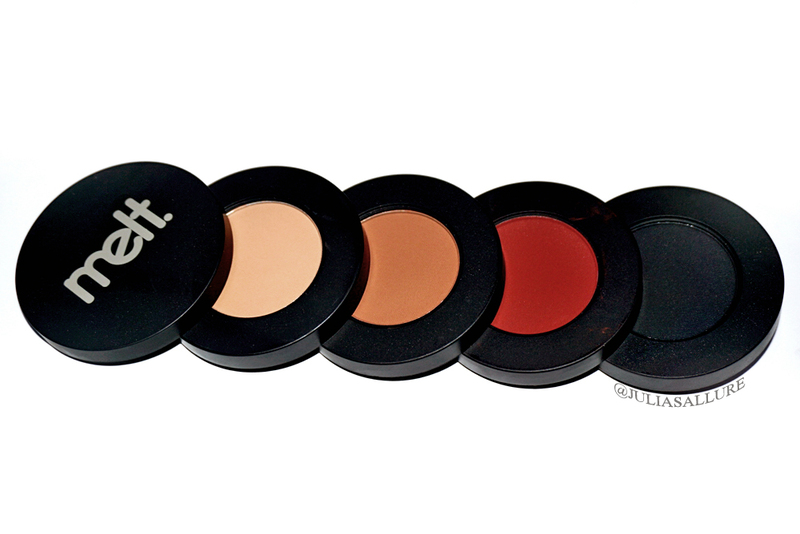 Other than that I really love this stack and I would totally recommend it to you makeup lovers out there. 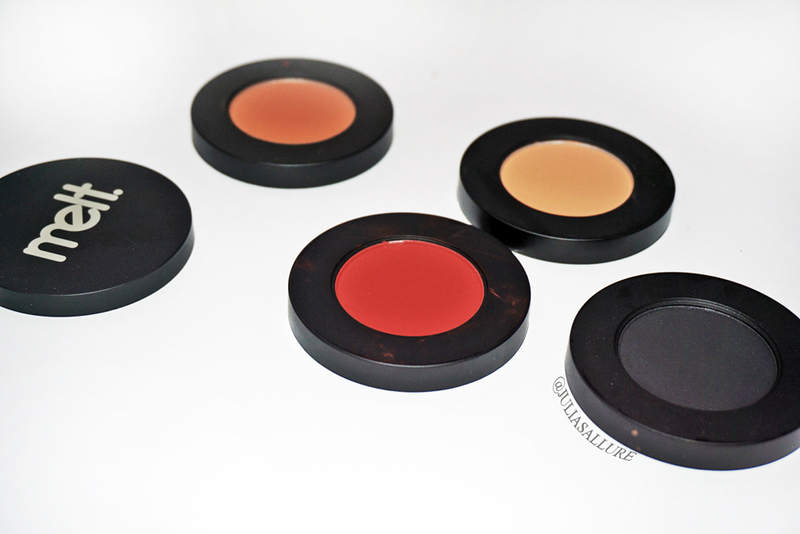 If you love warm, rich eye shadows you will love these. Also, I forgot to mention that these shadows are larger than your typical eye shadows. They are about double the size of a MAC eye shadow so you’re getting your money’s worth for sure! They also claim to be vegan so that’s a plus for those that are interested. 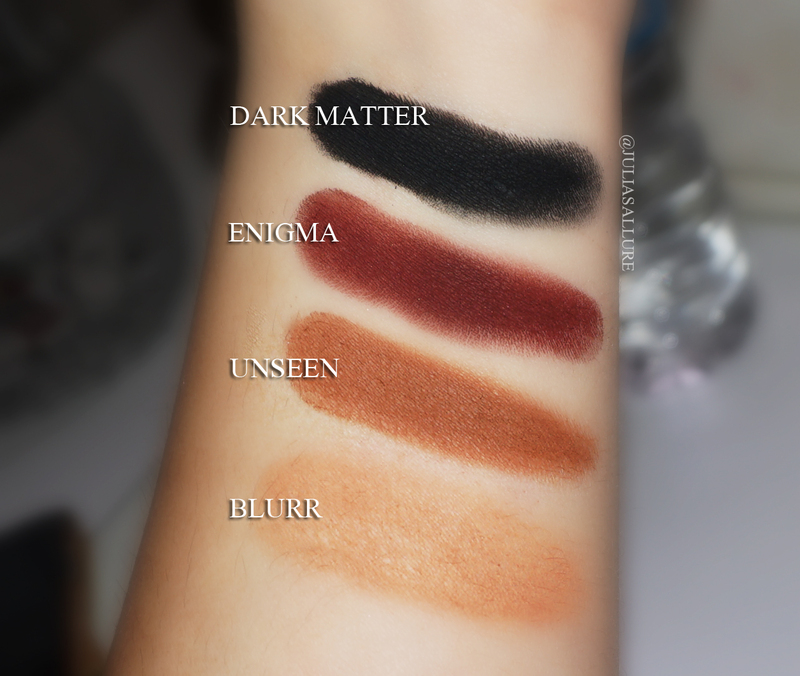 Let me know your thoughts on these shadows and if you’ve purchased them or are thinking about it!